Illinois Medical Malpractice Statute of Limitations | Hupy and Abraham, S.C.
How long do I have to file an Illinois medical malpractice claim? The law in all 50 states limits the amount of time that you have to file a medical malpractice lawsuit. However, the amount of time that you have, which is known as the statute of limitations, varies from state to state. If you have been hurt by medical malpractice in Illinois, then you need to know how long you have to file a case. If you fail to file a case before the statute of limitations expires, then you may never recover damages even if your claim is otherwise valid. In most cases, people who have been hurt by medical malpractice in Illinois have two years to file a lawsuit. The two-year period begins running on the date the medical malpractice victim discovered—or should have discovered—his injury. Additionally, Illinois law provides that in most cases medical malpractice actions must be brought within four years of the date the malpractice occurred, regardless of whether or not the victim knew or should have known about the malpractice. People who were minors at the time they were hurt by the medical malpractice and people who were kept from filing a claim because of fraud committed by the defendant may have a longer time to file a case. Additionally, some specific types of medical malpractice may have different statutes of limitations. 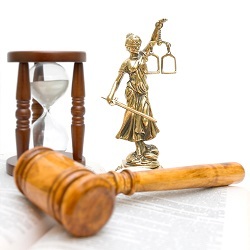 Don’t wait until the statute of limitations is about to run out to contact an attorney. Instead, start protecting your rights today by calling an experienced lawyer for help. You can schedule your own free, no-obligation consultation now by contacting us via this website. Death in the ER: Was It Medical Malpractice?